strength as a strong independent group that is overseen by a full time General Manager and a Board of Directors, all of whom are active operating retailers. We fully recognise that for our mutual long term survival, words like honesty, working together and independence will take in real meaning when you join the Friendly Grocer team. As part of our group, you will benefit from weekly promotional and advertising programmes that will assist your store to stand out in the community. Exciting point of sale collateral will make your customers aware of the current offers. 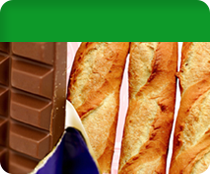 As a Friendly Grocer member, you will be entitled to log on to our ‘members only’ section of our website and place orders on promotional tickets as well as other information. You will also be able to download new marketing and advertising files for your store quickly and easily. We encourage feedback from our stores on all areas including advertising, so if you have some great ideas, contact us today and we can work together on increasing on our stores awareness. We believe that members of the Friendly Grocer group should operate in a stable environment with clear direction and we are often looking to constantly improve our service, not just to our customers but to our members. 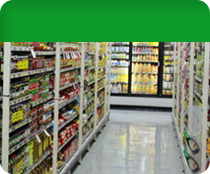 Friendly Grocer operates as a non profit company and all profits are reinvested for the benefit of members. After administrative costs all money is returned to members via Extra case deals, Rebates and very competitive catalogues guaranteed to bring new customers into stores. 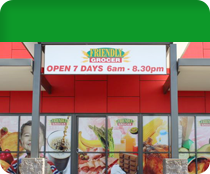 Friendly Grocer is a strong independent group that is going from strength to strength. We are constantly building the Friendly Grocer brand with the aim that the ‘Friendly Grocer’ brand becomes a household name to our customers. All our stores operate under a well planned strategy and all new potential stores have to meet the Friendly Grocer selection criteria. 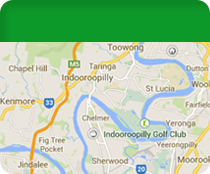 Contact us today to find out if your store can join the Friendly Grocer group. As part of the Friendly Grocer group, you will receive all the benefits of our strong buying power, bringing you the best buying price for your stock. In 2016, the Board signed an agreement with Metcash / IGA Distribution to supply groceries to our members. With this agreement, Four Square was given a licence to use the Friendly Grocer brand for QLD and Management rights in NSW and ACT as well as VIC stores. We continue to bring our retailers the best offers and prices. With increased numbers of members and stores planned; these offers and prices can only get better! Four Square Stores Queensland LTD, trading as Friendly Grocer is governed by a board of retailers elected by member retailers. Our Board of Directors set the strategy and future direction of the group. For more information about our individual Board members, click here.